It’s back on the block. 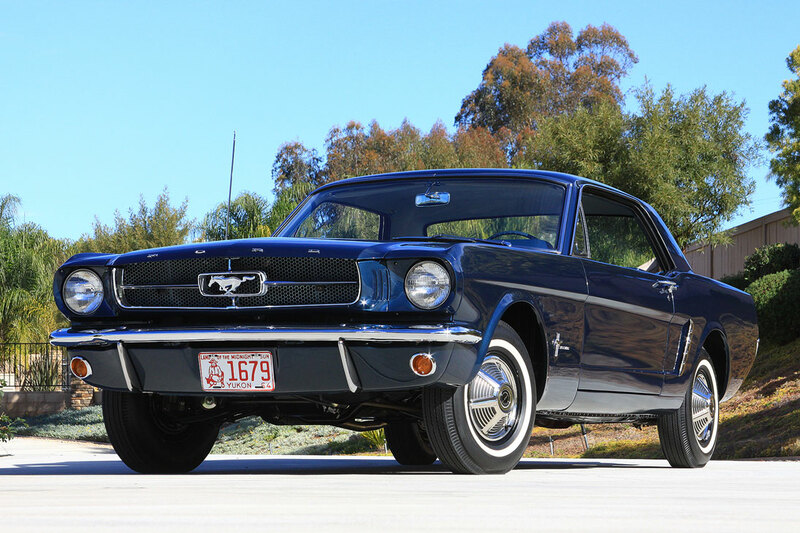 The first hardtop Ford Mustang that rolled off the assembly line in 1964 – and mistakenly shipped to Whitehorse – will go up for auction again in January. The fully-restored six cylinder, Caspian blue Pony car will be among the lot of rare vehicles at the Barrett-Jackson auction in Scottsdale, Ariz., scheduled for Jan. 12-20. Attempts to sell the car in May 2017 at the Mecum auction in Indianapolis, Ind., were unsuccessful when the high bid of $300,000 fell short of the minimum bid set by the owner. Mecum did not disclose what the minimum was. Barrett-Jackson confirmed this morning by email there will be no reserve price in Scottsdale – and the piece of Americana and Ford history will go to the highest bidder. Mecum had estimated the value of the Mustang last year at between $450,000 and $650,000. The Mustang’s vehicle identification number is 100002. It was the second off the production line behind a Mustang convertible, but the first hardtop. The first Mustang – 100001 – is on display in the Henry Ford Museum. As rare as the hardtop was, it wasn’t like local residents were banging down the door of Whitehorse Motors to buy it. In fact, it took the local dealership about a year to sell it. Wayne McKenna, a salesman at the dealership back then, told the Star in an interview last year the Mustang was plain. It didn’t have any bells and whistles. It lacked the big V-8 engine everybody was looking for, he recalled. McKenna actually drove the car as a demonstration model for about a year before it sold in the spring of 1965 for $3,200. As the story goes, it left the territory in 1983 and spent some time with different owners in Alberta. At one time, it’s said to have sold for just $300. The historic vehicle did, however, eventually catch the eye of collectors. “A rare and historically significant Mustang, this car is said to have started the Pony car revolution and is sure to capture the attention of Mustang and Ford enthusiasts alike,” reads the email from Barrett-Jackson. Background information published about the car by the auction house says it’s been fully restored to factory new specifications. There is also documentation confirming the entire history of the Mustang. I rode in this car wen I was going to school in Whitehorse. Before you start flapping your gums or keyboard maybe stop down at Whitehorse motors and educate yourself. They used to have an album there with the history of this cars life, (The 1st hardtop Mustang ever!!!) started its life in Whitehorse purely by accident. Maybe it's not your thing, not mine either (I am a chevy guy 100%) but definitely a piece of automotive history worth mentioning and a worthwhile read if they still have the album at Whitehorse Motors. Slow news day , or what ?